For the 2019 Sign Invitational I am building a whimsical building which houses a clock factory. Numerous details will be incorporated into the tall sculpture to both surprise and delight those who take the time to look closely. There will be a loading dock at the back of the factory which offers endless opportunity to add plentiful and fun details. 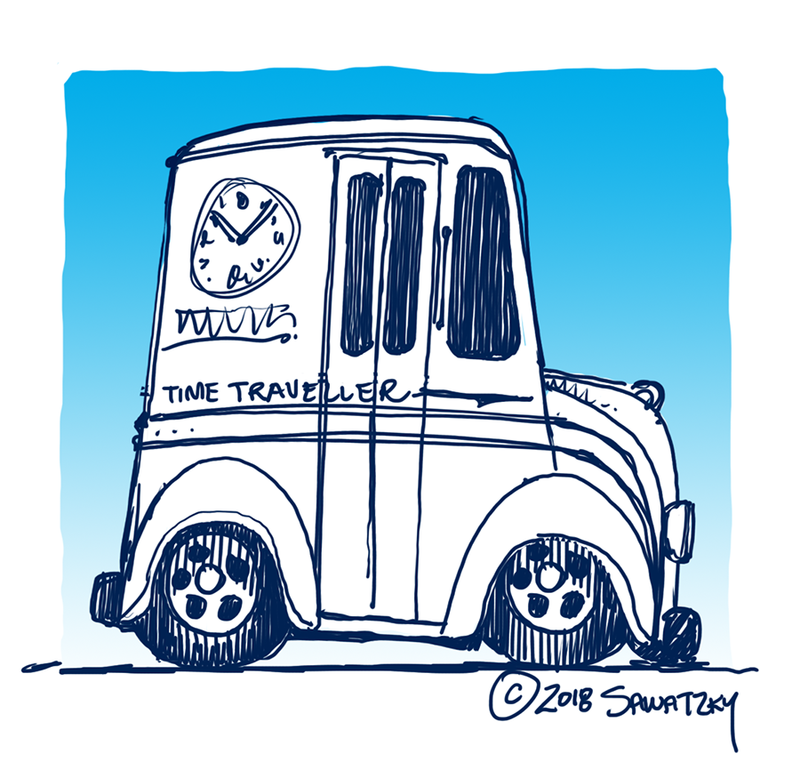 One such item will be the clock maker's delivery truck which is dubbed the 'Time traveller'. It is fashioned after a 1940's Divco milk truck - hot rodded just a little for quicker deliveries of course.